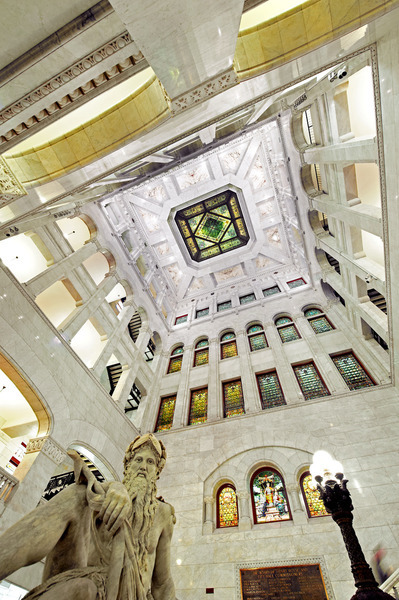 This prestigious and historic 1902 building, once the tallest building in Minneapolis, now has a master plan in progress providing for mechanical, electrical and life safety upgrades along with tenant renovations. The iconic nature of this historic building, and the need to remain fully functional during construction presented a unique set of challenges. The goal was to upgrade the systems with a lower maintenance alternative, while increasing energy efficiency. A creative installation approach was needed for the massive air handlers to preserve the historic façade. 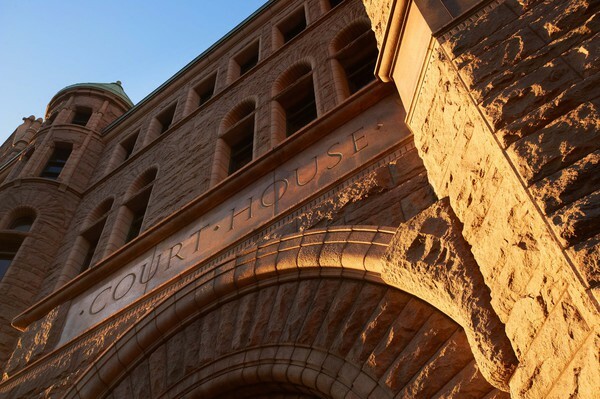 The 680,000 square foot Minneapolis Courthouse houses a 575-prisoner jail, the Sheriff, Police Chief and Fire Chief Offices, and offices for all County and City services. Stages 8-15 involved modifying the approach to the air handling system, by locating larger and fewer air handlers in existing attic space. This preserved the historic façade, opened up valuable leasable space and provided ease of maintenance. In order to power the new HVAC units, the existing switchgear was renovated or replaced, or new power distribution was added to the existing service, utilizing the building’s existing vertical shafts. The creativity of this approach led to the opportunity partner on the remaining stages (16 through 23). To maximize energy efficiency, a combination strategy was used. Energy recovery units were installed to preheat outside air with exhaust air from other building areas. These units worked in tandem with modified building ventilation resulting in reduced energy requirements for the building. The scope for the final stages of the project called for upgraded fire alarm systems with notification appliance devices to meet NFPA 72, International Building Code, ADA requirements and authorities having jurisdiction, as well as fire sprinkler systems, new signal line circuits and emergency egress lighting throughout the building. Individual department assessments identified the layout, lighting, security, data, and electrical service needs for each office to minimize work disruption. This project required a high level of coordination and staging to preserve the original building structure and architectural design – as well as stage the department renovations to align with individual needs as much as possible. Now in the final stages, the building has been and will remain fully operational and occupied through the project’s anticipated 2020 completion date.